Wine shipments require someone over the age of 21 to sign for the package at the delivery address. Please note–at this time, we only ship within the state of Maryland. 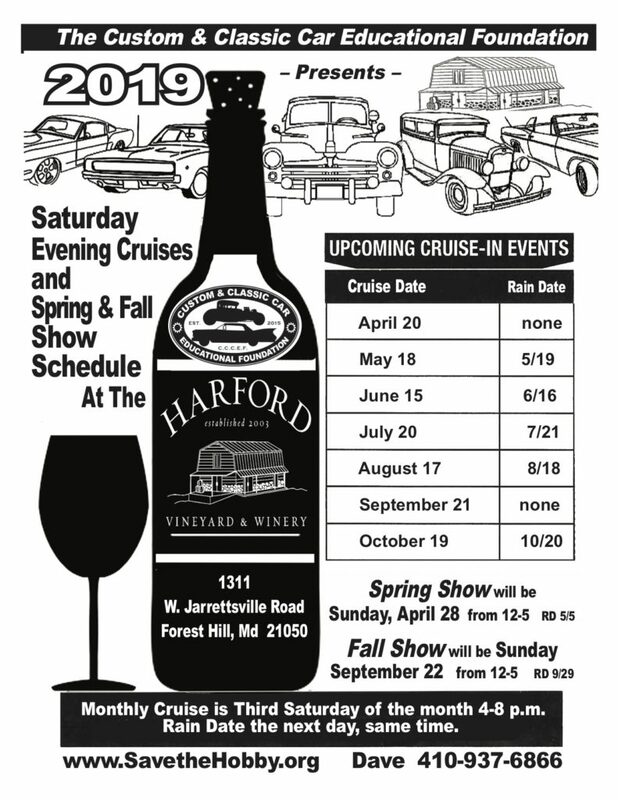 Wine Club Members – Please send orders and contact information to wineclub@harfordvineyard.com to receive discount! Orders will then be processed on our end manually. Ruby red color with classic aromas and flavors of sweet toast from our french oak barrels. Elegant flavors of raspberries, dried black cherries, hints of black pepper and a sweet earthiness left dancing on your palette. Serve this versatile wine with pizza, poultry, lasagna, tomato-based dishes, pork, beef, Middle Eastern fare, veggie pizza, and Greek cuisine. This medium-bodied wine with its rich plum color was aged in Hungarian Oak. It mingles its flavors of cherry and warm spice with cedar and earthy notes. Unoaked white wine with an impressive range of tropical flavors, from pineapple, to citrus that leaves a lasting palate impression. The fresh crisp character of this wine makes it a go-to wine with any seafood. It also pairs beautifully with lightly grilled meats on a summer evening. This semi sweet wine pairs well with most cheese and crackers, Seafood, light pasta dishes, salads and chicken dishes or just by itself. This very special medium-bodied wine with its gorgeous garnet color, notes of blackberry, spice and a dark chocolate finish. This is definitely a wine savor and enjoy with pork BBQ, meat-lovers pizza or pasta with red sauce..
roasts and grilled meats with nothing heavier than, say, a light peppercorn sauce are the perfect partners. This dark plum -dry Merlot with earthy notes weave elegantly around plum and black cherries flavors that fills the palate with a bold finish. Fairly versatile when it comes to food pairing options. Poultry, red meat, pork, pastas, salads – Merlot can handle them all well. A sweet red blend that presents you with a nose full of honey and floral aromas followed by vibrant flavors of candied strawberry and raspberry, spice, and vanilla bean. Serve chilled with a honeyed fruit dessert or a pear or peach poached in brandy and served with whipped cream. This wine loves Dark Chocolate! That lovely fresh peach taste of this wine comes straight from the peach orchard. This wine is a blend of Vidal grape and fresh peaches. The delicate flavors of stone-fruit, peach puree, with a soft finish is a must try. Try this wine as a topping for vanilla bean ice cream or as an ingredient in a summer trifle. This wine is also a nice dessert wine solely on its own! The beautiful floral and spicy character of this wine and its gorgeous color make it a perfect wine to drink on the patio while you are enjoying any summertime dessert. Piedmont Pleasure also pairs well with light cheeses and berry fruits. Sweet Harmony combines the best qualities of Vidal, Traminette, and Cayuga grapes to create this well balanced semi-sweet wine. Flowery, fruity aromas with overtones of exotic tropical fruit, honeysuckle, pear and ginger spice. Sunshine in a Glass. This is a wine to quaff on a summer day or pairs well with hors d’oeuvres, light salads with fruit, or perhaps a fruit dressing. This off dry spicy, fragrant wine entwine rose petal, honeysuckle, orange peel and light spicy flavors, sure to please your palate. The heavy, exotic spiciness of Asian and Mexican dishes pairs well with the light floral spiciness of Traminette.. Pork, Turkey, seafood also pair well. great while nibbling on Cheddar, Fontina, Livarot, Muenster and Raclette cheeses. This elegant off-dry Vidal wine reveals everything this estate grown varietal offers. It mingles its clean fruity flavors of grapefruit, apple and pear with a pleasant crisp finish. Excellent partner with grilled Salmon or Tuna, any Pasta with white sauce. Also great while nibbling on some Edam or Swiss cheese.